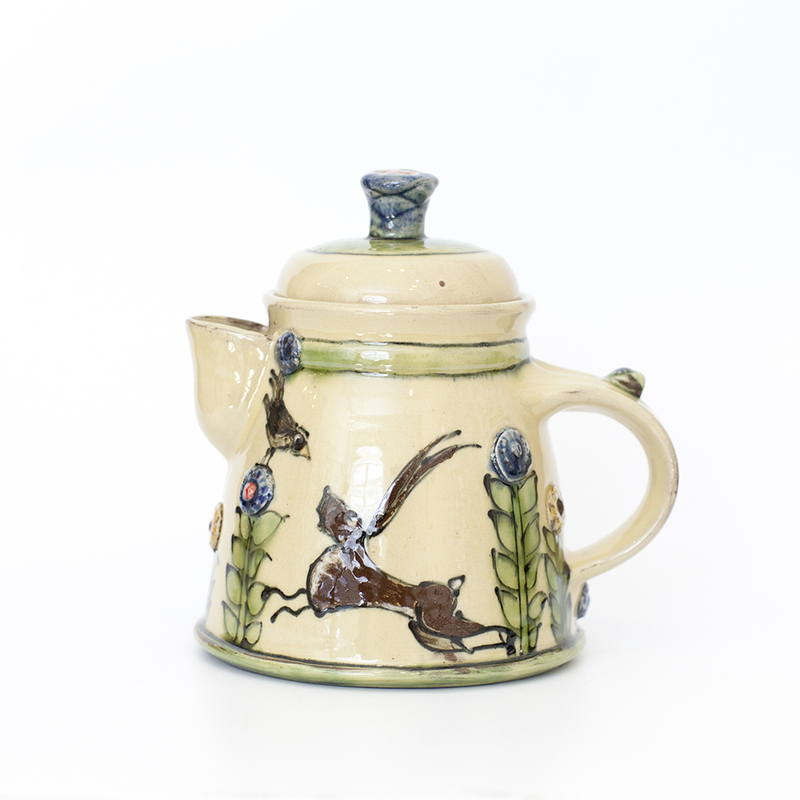 Katherine learnt much of her craft in France and is therefore greatly influenced by French pottery, both old and contemporary, handmade and manufactured. 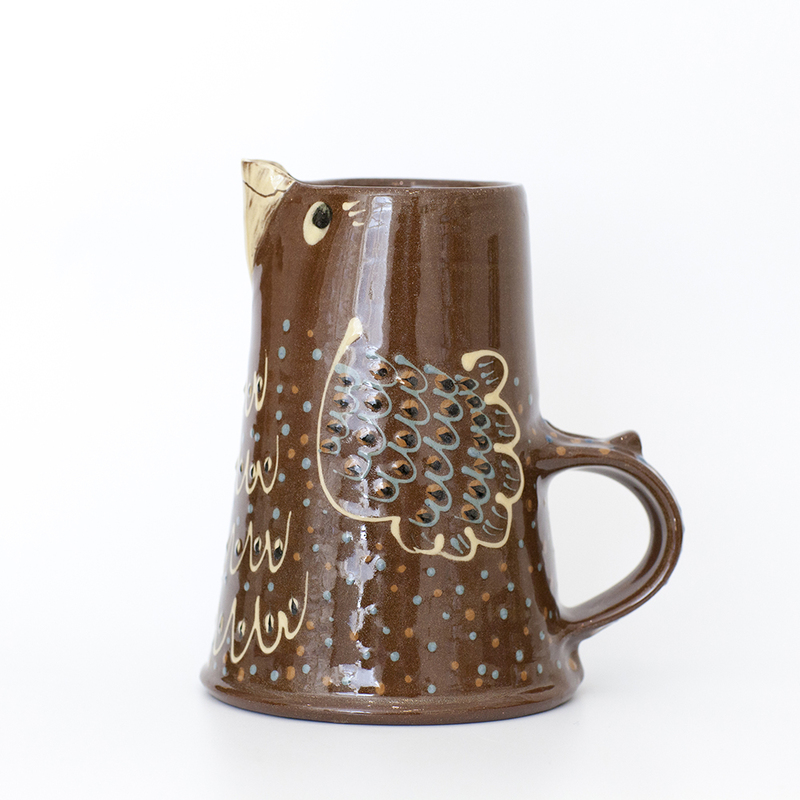 She is also inspired by various folk arts from around the world, old English earthenware and the local wildlife. Form and function are important but she feels that she must also enjoy making the piece, the owner must enjoy using it, and the end piece must make the both the artist and user both smile. Katherine makes domestic ware and one-off pieces using Valentines' grogged red earthenware clay. 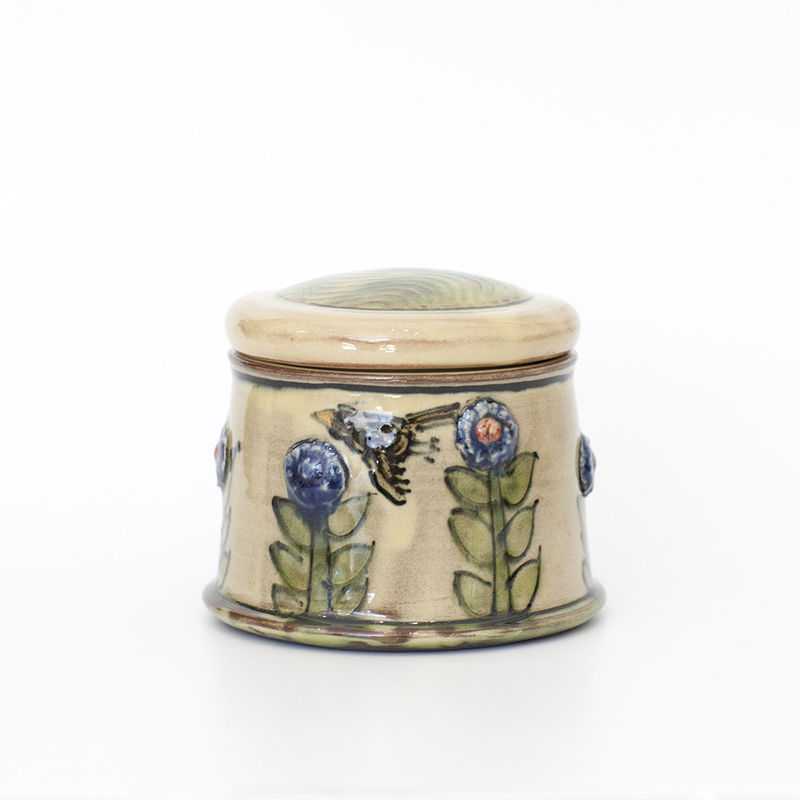 Her slip decorated earthenware pottery is oven and dishwasher safe. Most of Katherine's work is thrown and then altered with hand built elements. She covers the pieces in an off-white slip of Hyplas 71 ball clay and then decorates with coloured slips and a combination of slip trailing and sgraffito. She biscuit fires to 1000°C and glazes the pieces by dipping and pouring on a lead bisilicate glaze. 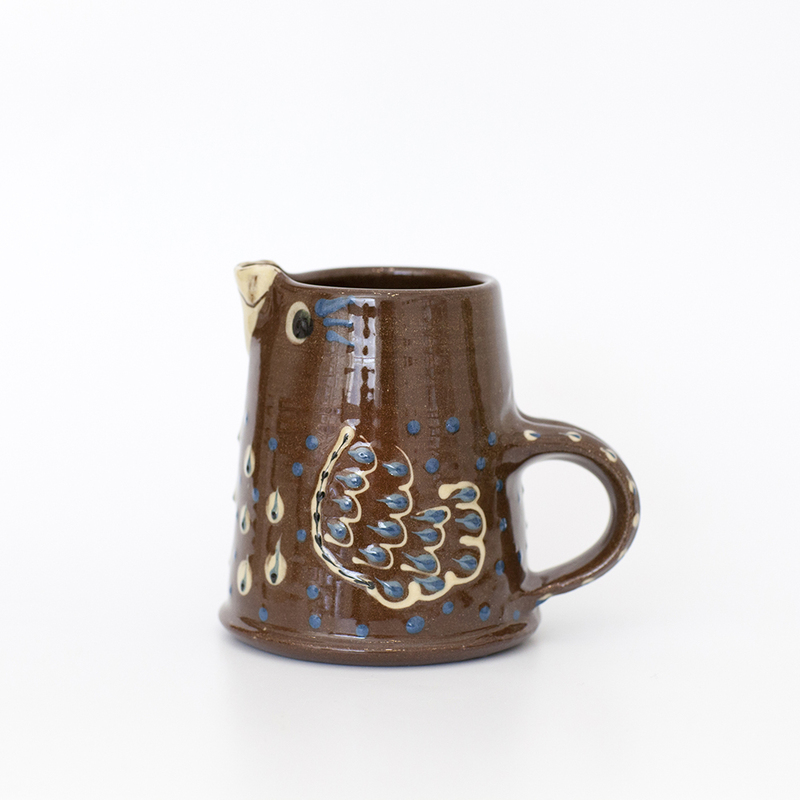 Katherine uses a French iron-rich yellow clay in the glaze to give it a bit of warmth. The work is then glaze fired to 1090ºC in an electric kiln with a half hour soak at the end. The works illustrated below are intended to give you a taste of what the gallery has to offer, please email us on info@cambridgegallery.co.uk or call us on 01223 324222 to find out which pieces are currently available. Prices range from £90 - £220.